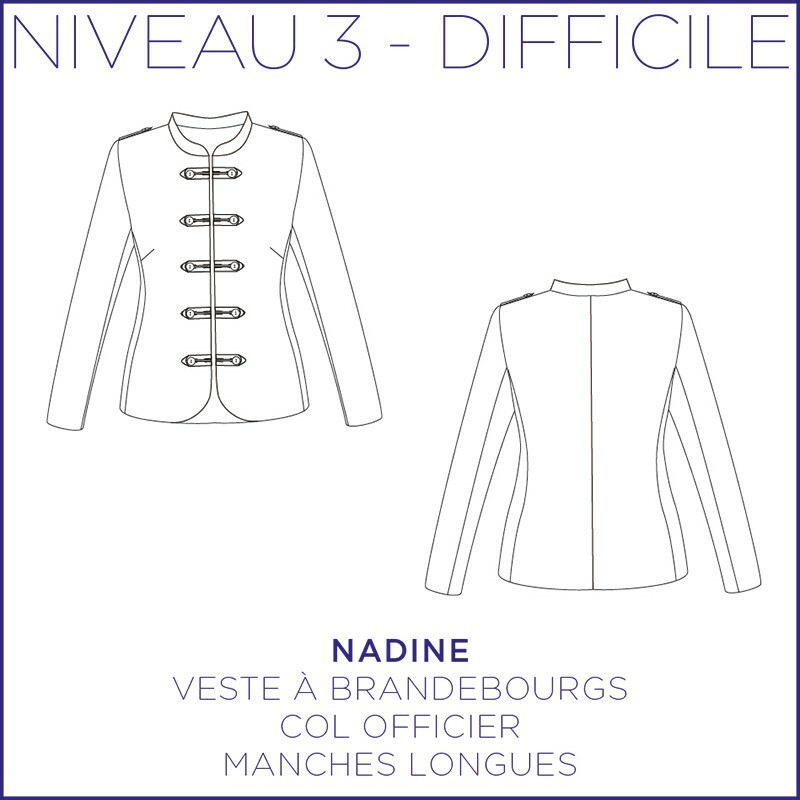 Actual size pattern from 34 to 48 (US/UK : from 2/6 to 16/20), category "Advanced"
Nadine is a jacket embellished with brandbourgs for a resolutely chic and contemporary look. Play the contrast with the buttons. Many materials can be suitable for this model : cotton satin, cotton piqué, jeans, woolen, gabardine, jacquard ... It’s up to you! The grey version was made in jeans from Tissus Bennytex. The blue version was made in a cotton satin from Les Coupons Saint Pierre. 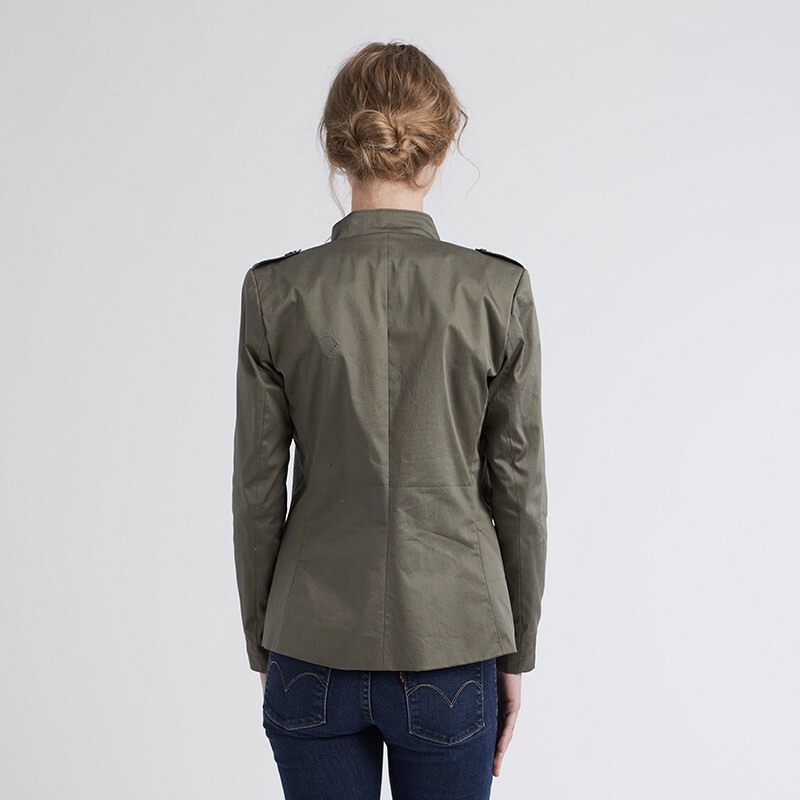 The khaki version is a cotton satin from Sacrés Coupons.